I participated in an Influencer Activation Program on behalf of Mom Central Consulting for mike’s hard lemonade. I received a Circle K gift card to facilitate this review and a promotional item to thank me for participating. 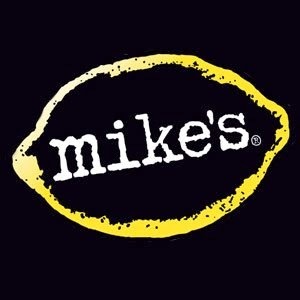 mike's hard is known for their wonderful lemonade that they make. I am not much of a drinker, but when I do want something, I usually jump at mike's hard. It is the perfect drink in my opinion. It doesn't have a strong alcohol taste, doesn't have a high alcohol content and tastes nice and sweet. Some may call it a 'fruity' drink or a 'girl' drink, but in reality it's a nice change of pace for everyone, I think. I recently had the chance to try out some mike's hard pink lemonade for Breast Cancer Awareness month (October!). And I'm surprised I've never tried it before. Every October mike's hard comes out with this to help support breast cancer and I'm super surprised we've never tasted it. I love owls, so thought their packaging was super cute! When you Drink Pink, you won't only have a moment to chill out, calm down, get a break and savor. But you'll also be supporting a greater cause by helping to raise awareness for breast cancer. A member of the mike's family was touched by breast cancer and that is when mike's decided to start this donation in 2009. mike's has contributed more than $1 million to breast cancer research through the sales of pink lemonade. It comes out every fall and I'm so glad that they are vouching to do this and to help raise awareness. You can get mike's hard at your local Circle K store. While you're filling up at the pump, stop in and grab a 6 pack to help support a great cause and get a great tasting drink! We love mike's hard here and we will continue to purchase mike's hard pink lemonade every September. I'm a breast cancer survivor so it's nice to see companies giving back to help cancer research. This looks delicious!! Thanks for sharing the fact that they're giving back to research!